At Loughton Karate Club, our members progress through the belt system by training regularly. 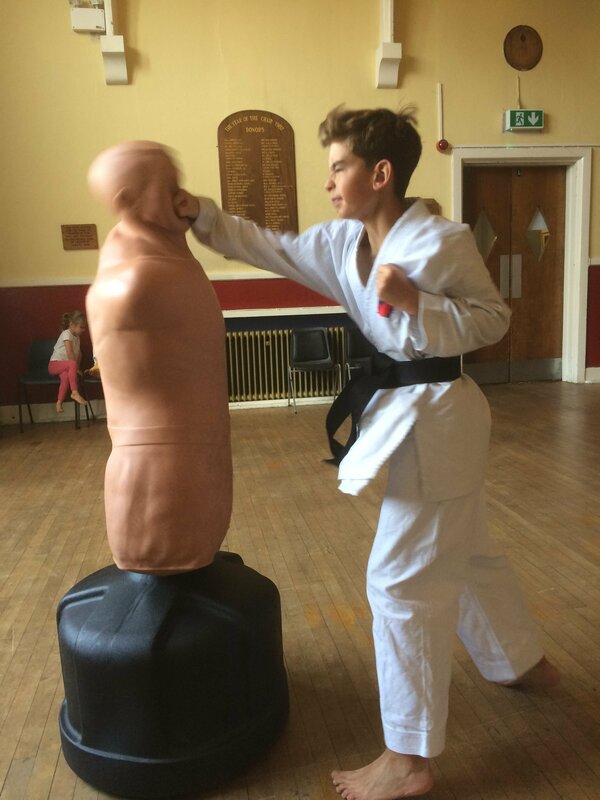 We hold 6 gradings a year for our students to test their abilities and achieve a higher belt. Karateka from different styles are welcome to join us, keep their current belt, and learn Wado Ryu. Red, Yellow, Orange, Green, Blue, Purple, Brown, Black. Pre-grading Master Classes are always held in the run up to a grading. These have proven to be highly effective in preparing students for a grading. Regular attendance at the club will ensure you get good results. A grading will test a student's progress and provide a goal to aim for. Gradings are formal occasions and provide a test to see how students apply their abilities under pressure. Testing consists of technical demonstrations before the panel of instructors. Gradings for a new rank (shinsa) may include kata, basic (kihons), combination (renraku waza) and pair techniques (ippon and ohyo gumite), and sparring (kumite). Parents, family and friends are welcome to spectate. Online Tutorials for home practice are available on the Loughton Karate Club website. Each term Sensei will choose a student for the prestigious "Student of the Term" award. This award can be given to a student for any number of reasons such as impeccable behaviour, courage in kumite or good technical skills. A certificate is awarded, together with a trophy and a special 'kohai' belt which the student wears for the term. The student will also stand with the Sensei at the beginning and end of each class during formal ceremonies.